Lucario and Melmetal GX have their defences up as the Pokémon TCG takes a Metal-type twist! Introducing SM9B, Full Metal Wall! Released February 1 st, and available to order from Plaza Japan now, this 54+ card subset is ready to unleash some lustrous Full Metal mayhem onto your opponents! With new Pokémon and new Trainers to be found, what can we expect from SM9B? Plaza Japan are here to present you with everything you need to know! Kicking things off is the return of Tag Team GX Pokémon, a now permanent feature of the TCG it seems, and the Metal combination of Lucario and Melmetal GX! It certainly didn't take long for Melmetal to become a TCG regular, having been the most recently introduced Pokémon it now has both a regular GX card and Tag Team GX! Lucario and Melmetal could provide the perfect balance of attack and defence. Their GX attack, named after the set itself, "Full Metal Wall GX" will give your Metal-type Pokémon -30 damage for the duration of the entire match! If this Pokémon has at least one extra energy attached to it, you can also discard all energy from your opponent's active Pokémon! There's no knocking down this wall, and the 150 damage from the Heavy Impact attack will keep Lucario and Melmetal sweeping up the opposition for sure. The other Tag Team GX here brings us our first Ultra Beast combination! The Grass-type duo of Buzzwole and Phermosa GX are here to take the game through the Ultra wormhole to another dimension - and the Ultra Beasts don't stop there! Adding some extra steel is one of two new regular GX Pokémon, Celesteela GX, making its second appearance as a GX in the TCG as well as its second appearance as a Metal-type. The final GX card introduced in SM9B will certainly cause a stir as one of the most recognisable Pokémon of any era, making its GX card debut! The original and possibly most iconic of all Water-type starter Pokémon, Kanto favourite Blastoise GX makes a splash for the first time in the Sun and Moon era! Its mighty "Big Hose Down GX" allows you to attach any amount of Water-energy from your hand to your Pokémon, in any way you like, ensuring that water tank is fully charged to blast your foes away! As always, complimenting the roster of new Pokémon are the Trainer cards! 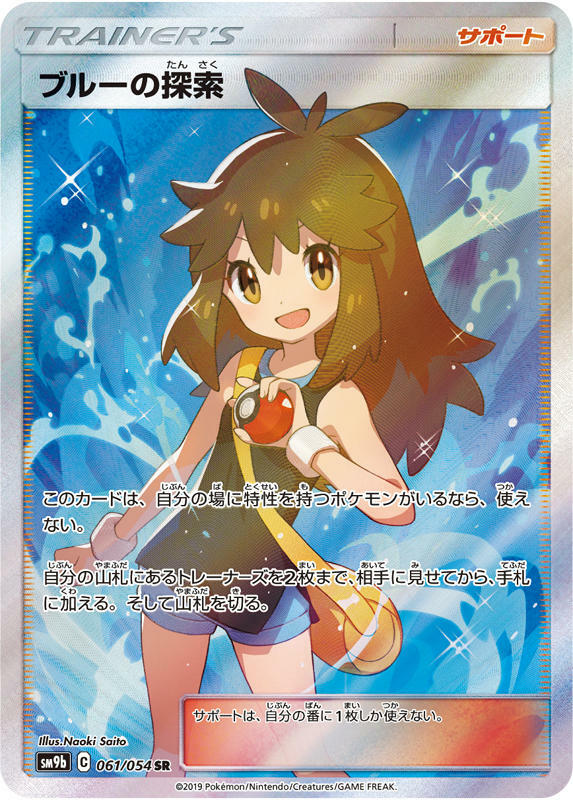 We will start by looking at the new "TR" Trainer Rare cards in Full Metal Wall. Limited to one per box, these cards are reprinted rare versions of popular Trainer cards, except with alternate art! The big TR card in SM9B is the reprint of Acerola - quite possibly the most popular Sun and Moon character there has been. The full art Acerola is still one of the most sought-after cards of her generation. The other TR cards in SM9B are all Items, with Ultra Ball, Beast Ring and Metal Frying Pan complete the set. In terms of brand new Items, we’re treated to Devolution Spray Z, Beast Bringer and impenetrably defence-booster Metal Core Barrier for the first time! Attaching the tool Metal Core Barrier to a Metal-type Pokémon will cause it to receive -70 damage from each of your opponent’s attacks. Coupling this with Lucario and Melmetal's "Full Metal Wall GX" would mean a huge resistance of -100 damage per attack?! There's no way through the Full Metal Wall! We already have the secrets of the golden Items revealed, as we know that both Metal Core Barrier and Beast Bringer will be the golden “UR” Ultra Rare cards from this set! Speaking of UR gold cards, it's become normal for Stadium Cards to pop up as UR cards since SM9, and SM9B is no different. Whilst the set introduces the Abandoned Power Plant for the first time (causing all EX and GX Pokémon to have no abilities), there's also an UR Mt. Coronet to be found! We have to say, we're loving that Stadium cards are thrown into the UR mix! Finally, we have our beautiful Supporters! Three brand new cards are waiting to be uncovered here in Full Metal Wall to be precise! We firstly have something else from the Ultra Wormhole in what is fast-becoming an Ultra Beast themed set! Ultra Forest Kartenvoy , a trainer from the homeland of Kartana, is the first Supporter here. Following this is a member of Alola's very own Elite Four, Steel-type specialist Molayne! It's no surprise to see the giver of Steelium Z here in the Metal-themed set and we've already seen that Molayne will be the first of two SR Full Art Supporters! The final Supporter, and already confirmed SR, has a lot of people excited. It's rare to see the original characters Red, Blue or Green turn up anywhere in the TCG. However, Full Metal Wall has just broken down that barrier with Blue's Search! An incredible new Supporter featuring Blue herself (or "Green" outside of Japan). The original Water-type trainer along with her Blastoise GX some might say! You can only play Blue's Search if you currently have a Pokémon with an ability in play - if you do, search your deck for two Supporter cards and add them to your hand! This card will certainly be one to look for, and as we've come to expect, the SR version is stunning. Are your defences as strong as steel? SM9B is ensuring that you will not be beaten easily, with damage-defying combos of Lucario and Melmetal GX and Metal Core Barrier keeping that Full Metal Wall standing solid in the face of your opponent, whilst dishing out the damage! 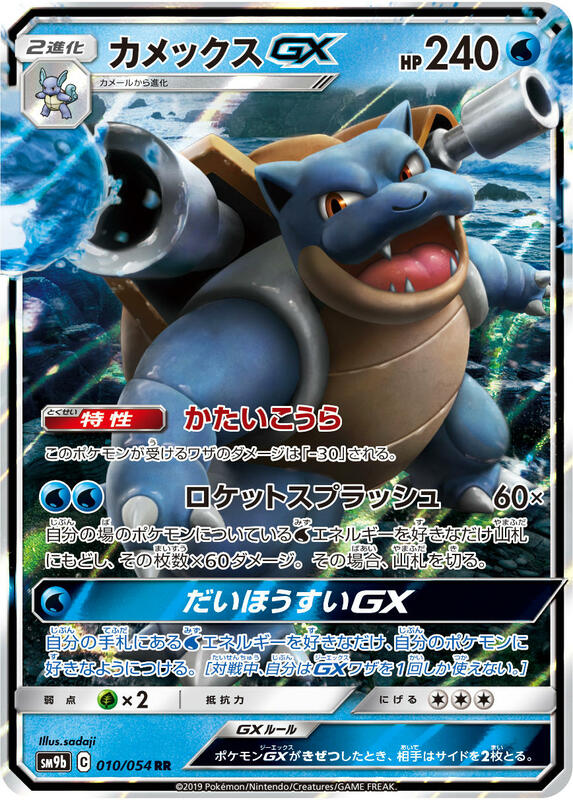 Along with the likes of Blastoise GX and Moleyne, can you afford to miss out on turning your deck into an absolute fortress? How will you go about breaking through your opponent's iron-clad defence? Don't miss out and order from Plaza Japan today!